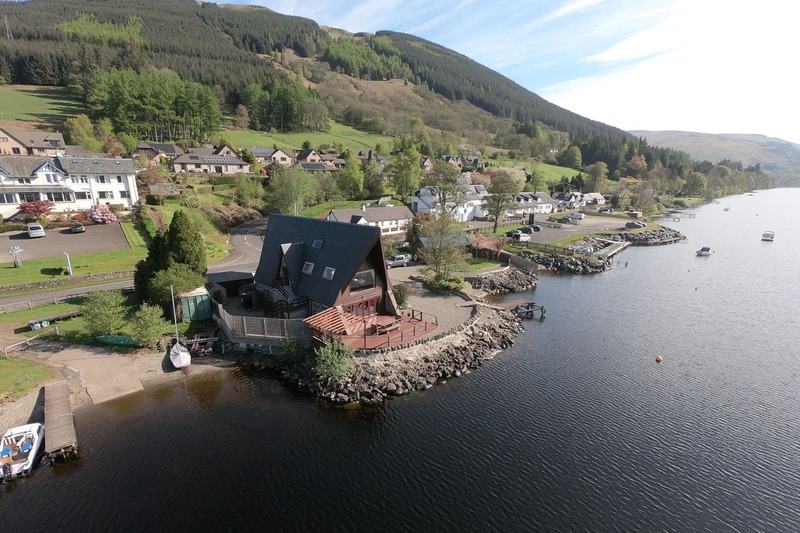 The Boathouse offers lochside holiday accommodation for large families by Loch Earn. With a private mooring and fishing rights there are opportunities for fishing and watersports from the private jetty. A slipway is available adjacent to the property by prior arrangement. 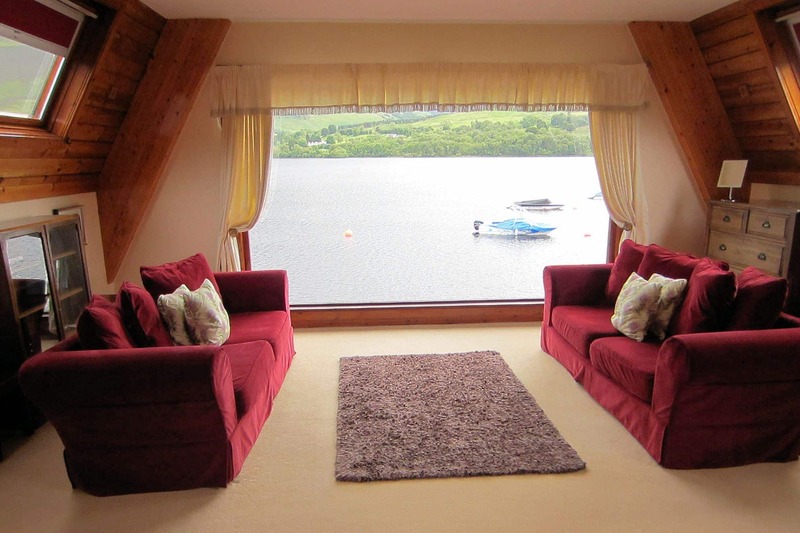 With French doors opening full width of the the Boathouse onto a decked area where you can sit and enjoy the activities on the loch or watch the Osprey dive, this makes a great social space for your family. There is ample off-street parking adjacent to The Boathouse with a gate opening to the property. 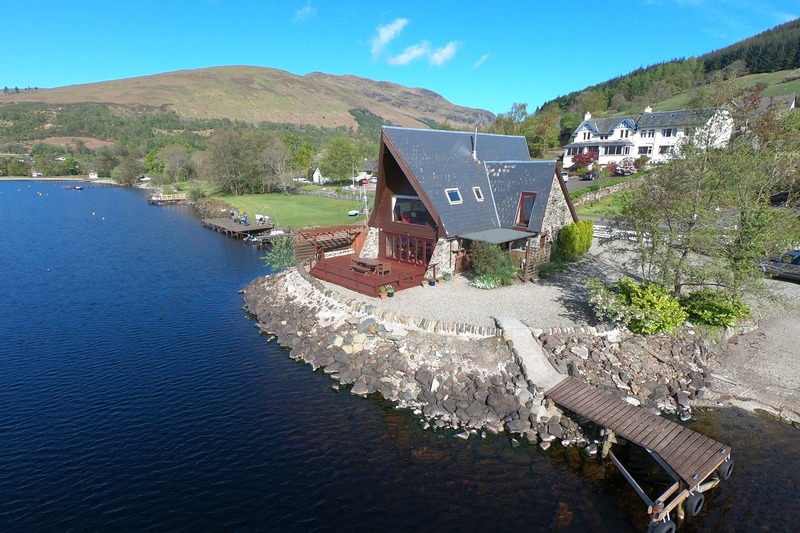 There is a jetty and mooring on the lochside in front of the house as well as a decked area with outdoor seating. On the ground floor guests will find a family bathroom with bath, separate shower, toilet and sink. 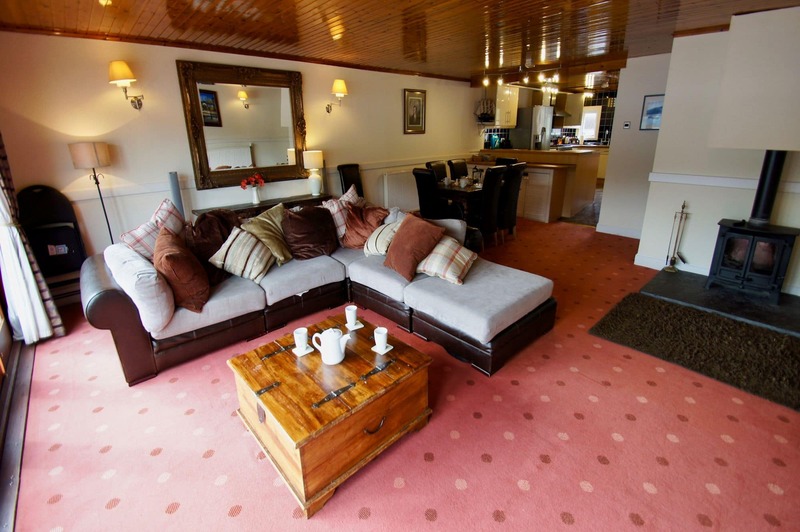 There is an open-plan lounge with sofa-seating, flat-screen Sky television and DVD player and log-burning stove. Through the french-doors guests can step out onto the outdoor decking area where there is a table and seating. The dining area is open plan with large dining table and seating for up to eight guests. The kitchen features a large fridge-freezer, cooker and hob, microwave, kettle and toaster, dishwasher and washing machine. WiFi is available. The kitchen offers a social space open to the dining area and lounge. With American style fridge/freezer, microwave, 5 ring- double oven range cooker, kettle, toaster, dishwasher, washing machine. Well equipped for a family of 8. The Boathouse sleeps 8 guests. 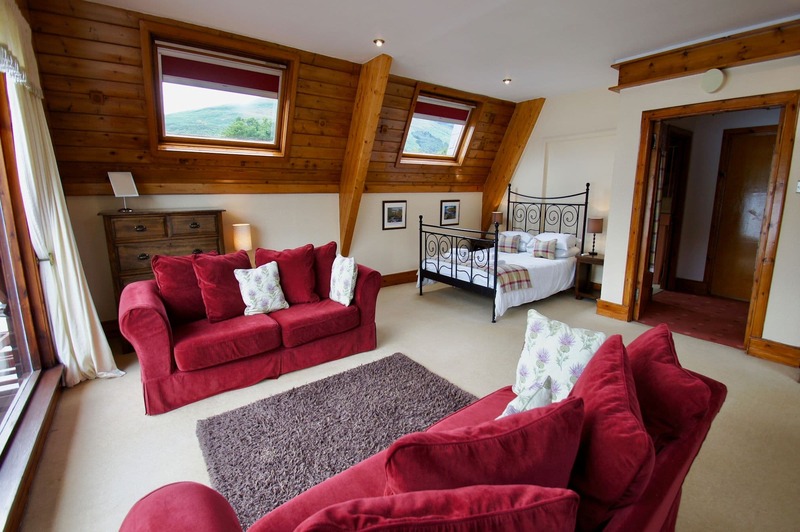 On the first floor there is a spacious king size bedroom to the front of the house featuring a large picture window with views over Loch Earn and towards Edinample Castle and glen, there are two sofas here for you to relax and enjoy the views. On the same floor there is a twin en-suite room and seperate shower room. The upper floor is an open-plan room with a king size bed and twin single beds. A short walk from The Boathouse guests will find two local bars and restaurants. There is a village shop and post office less than five minutes walk from the house. Electricity and oil central heating included in the weekly tariff. No Jet Skis allowed from the property. As a safety precaution as people do swim in the Loch. No more than 8 guests. Only guests staying at the property have use of the facilities.